On Tuesday October 2nd, WagonWheel Presents… welcomes Royal Wood back to Sheffield when he joins us at The Greystones. The award winning Canadian singer/songwriter is back in the UK promoting his latest album We Were Born To Glory. In 2008, Royal was crowned Songwriter of the Year by iTunes and in 2011 his album The Waiting earned a Juno Award nomination for Songwriter of the Year — further establishing him among the elite of Canadian songwriting. Maeve O’Boyle is supporting Royal on all of his UK dates and Joshua Caole opens the show. Advance tickets priced at £8 are available from http://www.wegottickets.com/event/171025 and over the bar in The Greystones. Entry on the night will be £10. Doors open 7.30pm for an 8pm start. There is something quietly profound about listening to We Were Born To Glory; the new record by singer-songwriter, arranger and producer Royal Wood. We hear Royal celebrate life with the wisdom of a seasoned soul, tempered with a youthful wonder. While the power of his last album The Waiting lay in its crystalline balladry, it only takes one listen to the delightfully up-tempo opening track “The Thick Of It” to immediately realize Royal has turned a fresh new page. The vision for We Were Born To Glory sounds bold, and indeed it is. The 13 songs chosen for the record were among the almost 50 songs he had written before stepping back into the studio in November of 2011. Wood enlisted his trusted production collaborator Dean Drouillard to co-produce the new material with him, and the duo returned to the inspired setting of Pierre Marchand’s Montreal studio space to begin the recording process. That need to expand found Royal arranging all of the strings and horns himself in rich fullness on songs like “Will We Ever Learn” and “I Need You Now”. For the first time ever, Wood incorporated percussive loops into his music adding a crisp layer of untried texture to his work. The songs on We Were Born To Glory brim with newfound maturity. On the lead single “Not Giving Up” Wood sings with an experienced, hopeful voice of cultivating and maintaining love throughout a couple’s inevitable struggle. On the infectious “I Want Your Love”, Royal departs from his balladeer past with driving fuzz bass and guitars underpinning the sexually charged lyrics of a mature man comfortable in his own skin. The up-tempo atmosphere of the record leads listeners through a gamut of emotion that culminates at “The Glory”, the uplifting and contemplative song that inspired the title of the album. Though We Were Born To Glory may in itself have a deliberate culmination, it is also yet another jumping-off point for Royal Wood whose career is in a constant state of growth. Fans appreciated the cozy atmosphere of the tour, which organically gave life to Sneak Peek Tour that followed in early 2012; where sell-out crowds were treated to hearing brand new songs come to life in a series of intimate shows. It has been a road of accolades and accomplishments leading up to now. In 2008, Royal was crowned Songwriter of the Year by iTunes and in 2011 his album The Waiting earned a Juno Award nomination for Songwriter of the Year — further establishing him among the elite of Canadian songwriting. He has also landed several major placements in TV shows like Grey’s Anatomy and Private Practice. 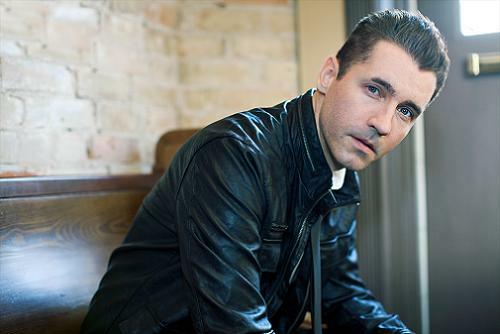 Royal Wood has laid the foundation of his career by writing honest music to much critical acclaim. With the release of We Were Born To Glory he continues to win each fan through the intimate connection only a truly great songwriter can make with his audience. Maeve O’Boyle is a singer songwriter from Glasgow, Scotland, who has a knack for writing catchy pop songs with a folk twist and all topped off with a powerful voice that is capable of blowing away any audience. It is testament to her talent and standing that she has a queue of other writers and musicians wanting to work with her including Ricky Ross (Deacon Blue, James Blunt), John McCusker (Kate Rusby, Roddy Woomble, Battlefield Band), Gordon Gourdie (Echo & The Bunnymen) and John McLaughlin (Busted, Westlife, Shane MacGowan). 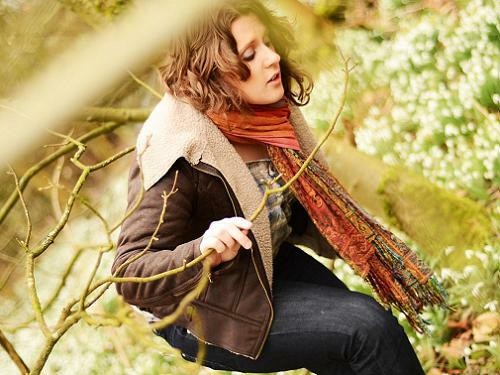 Performing music from an early age, Maeve was already an established face on the Glasgow music scene by the age of 15 but first came to most peoples attention when she won a ‘Danny’ after appearing on the Danny Kyle stage at Celtic Connections in 2006. Later that year she also won the Daily Record’s ‘Search For A Star’. Several offers of record deals came and went before Maeve decided to sign for the independent label Linn Records. Linn is best known for the manufacture of high end hi fi equipment and has been the home of acts including The Blue Nile, Hue & Cry and Martin Taylor to name but a few. Maeve went into the studio with legendary producer Calum Malcolm to start work on her debut album in 2008 with the fruits of her labour being ‘All My Sins’. Released in June 2009, the album received critical acclaim from all quarters. The release of the album saw her take to the road to promote the record, including tours with Sandi Thom, Eleanor McEvoy, The Mercurymen, JJ Cale, Boo Hewerdine and Martyn Joseph. 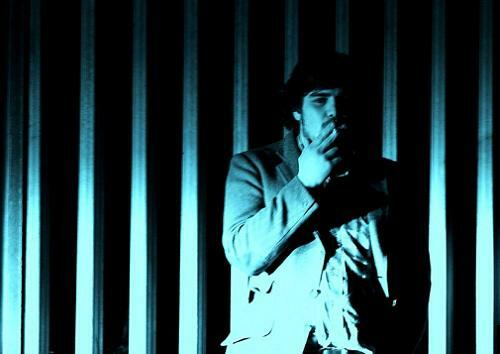 simultaneously tiptoes along the lines of alt rock, post punk and folkier climbs. What binds these disparate influences together is his rough-with-the-smooth combination of coarse, velvet vocals with clean, beautiful ringwheeling guitar parts. Combining the songwriting of Elliot Smith with the vocal fragility of Bright Eyes; tales of misspent nights and love not quite won makes his debut album ‘Moon Palace’ an impressive, impassioned collection of songs. Joshua Caole spent 2011 playing in cramped rooms in the UK and Europe. This included supports with superb acts such as Smoke Fairies, Sarabeth Tucek, and Jodie Marie and appearances at festivals lincluding; Lounge on the Farm, Apple Cart and Swn. The year was topped off with a slot at the December Sessions at the O2 arena in London.